This unforgettable classic has been captivating children and adults alike for more than a century. Rebecca's widowed mother has a failing farm, meager resources, and seven children to raise. When her spinster sisters offer Rebecca a home and an education, Mrs. Randall bundles her second eldest into a stagecoach with a kiss and an admonition to stay out of mischief. Could she be asking too much of the free-spirited imp with sparkling eyes and insatiable curiosity? Kate Douglas Wiggin wrote children's books to finance the school she started in the slums of San Francisco in 1878. Her first book was published in 1883, and by 1887 she had become a popular success. 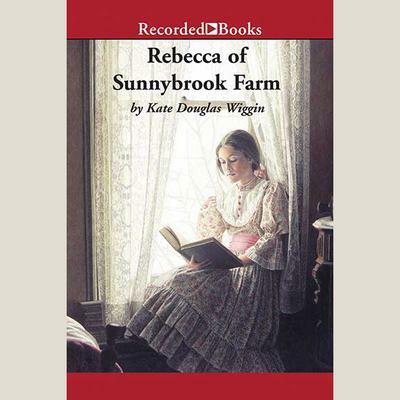 But the publication of Rebecca of Sunnybrook Farm in 1903 won her major acclaim both here and in Great Britain.